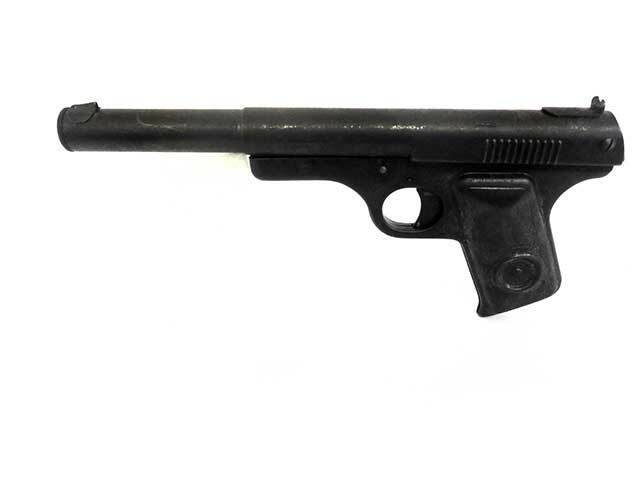 This gun is being sold “as is”, with no returns. It does not shoot. It’s mainly a collectable. 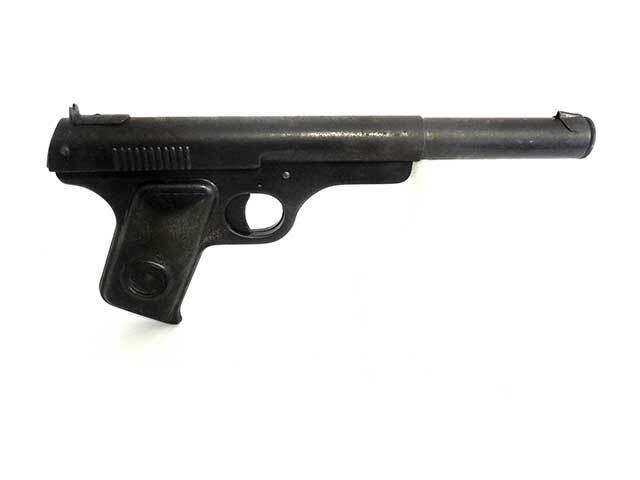 It’s a BB pistol with an all metal body. 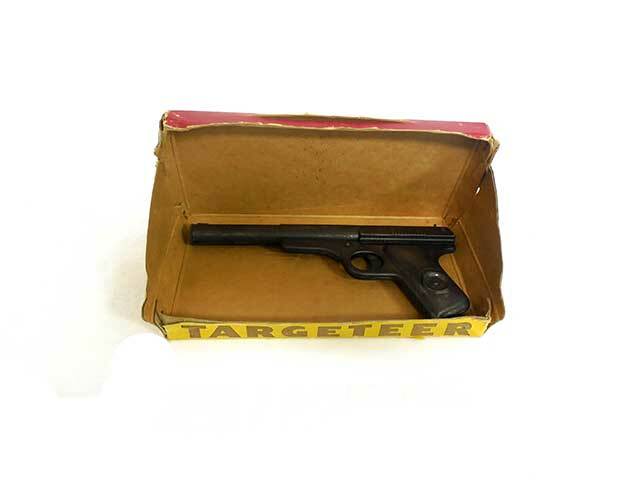 These were sold as an indoor shooting gallery and included a target you could place inside the box which acts as a frame for the gallery. 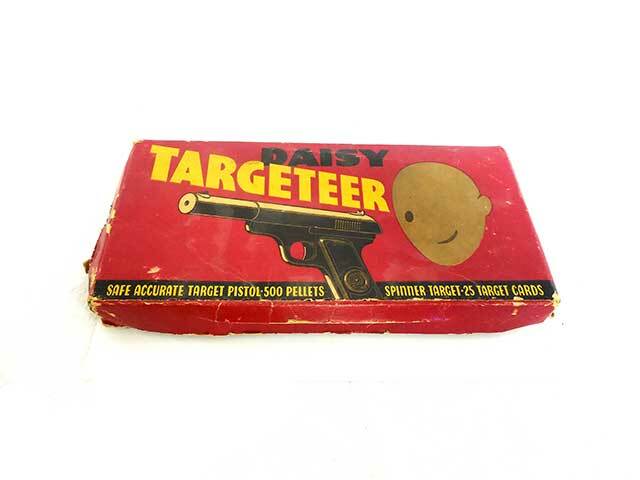 This one’s missing the actual target, though the box can still be propped up. These were manufactured between 1937, and 1952.